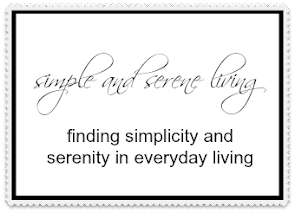 F Simple and Serene Living: ESTATE SALES AND HAS BLOGGER LOST IT'S MIND? 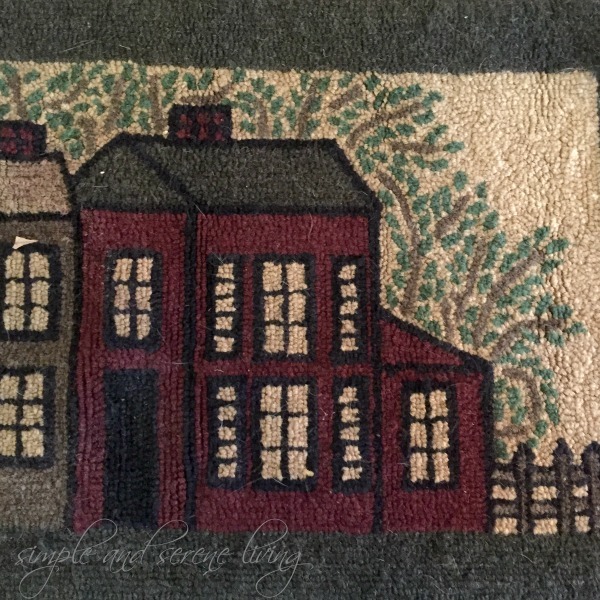 ESTATE SALES AND HAS BLOGGER LOST IT'S MIND? 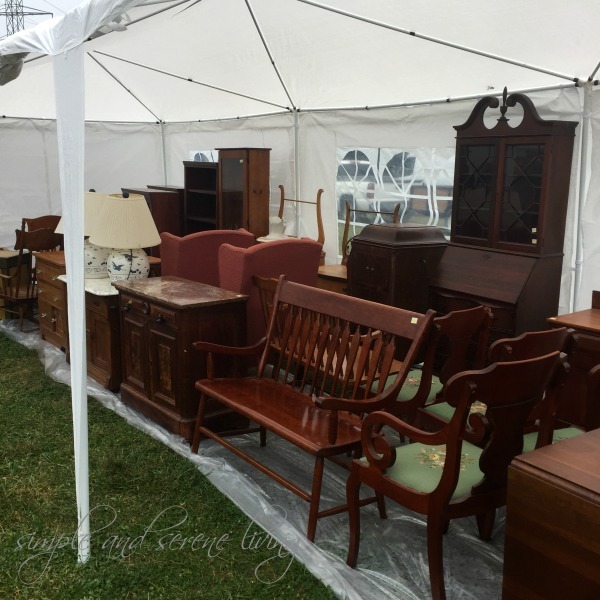 Saturday I attended two estate sales and as I was standing at the second sale, which was an auction I thought about all of the wonderful things I have bought over the years through estate sales and auctions. Of course, I resale much of what I buy, but I also use much of it in my home decor. I love all of the bargains I get. Although I love all auctions, I think my favorites are the good old country auctions. They are held in barns, under canopies, and out in fields. Old clothes and comfortable shoes are the recommended attire. 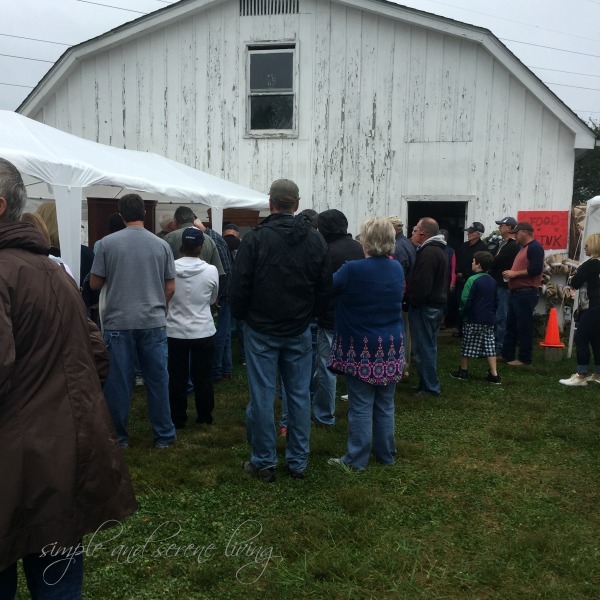 The second estate sale of the day on Saturday was an auction out in the country. I bought one piece of furniture to resale, but there were a lot of beautiful pieces. Since I decorate my home with so many of my finds, I thought I would start sharing them with you. Today I wanted to share the beautiful wool hand woven table runner I found at the first estate sale I went to on Saturday. I love it for my fall and winter dining room table. My cost was $5.00. I love it and I also love the two hog scraper candle holders I found the week before. They were $2.00 each. I actually bought four, but decided to sell two of them in one of my booths. I will be regularly sharing my finds and how I incorporate them into my decor, so stay tuned. So now I have to start over adding in blogs. I hope to get everyone back on, but my memory isn't what it used to be, so leave a comment and then I will be able to find you. Also, it is only allowing me to add the name of the blog and not snippets from the most recent post. I will be researching to see if I can fix that. Has anyone else experienced this? If so I would love suggestions on how to fix it. I hope the blog list comes back. Hubby thinks it probably will. There have been a few weird issues lately. Hugs! I haven't been having any trouble with Blogger. You might want to update your blog template. I'm not sure how responsive that one is either. I love the rug! I've actually never been to an auction. Sounds like fun. Love the table runner! My bloglist vanished and when I went to the layout I found a 'new' blog list but none of mine showed up...yikes! I added them and it let me choose how I wanted them displayed. It also showed me a list of all the blogs I've ever followed and I added from there (sad how many are no longer blogging, but that's another subject). So give it a few days and hopefully it will come back or at least you can add it again without tooooo much trouble! Hi Laura... 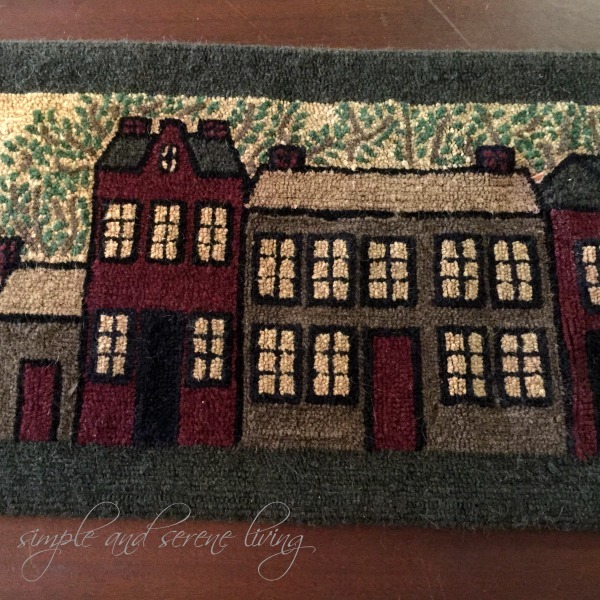 I had an odd issue with my blogroll a couple of weeks ago and then it straightened itself out. Wish I could be more help. 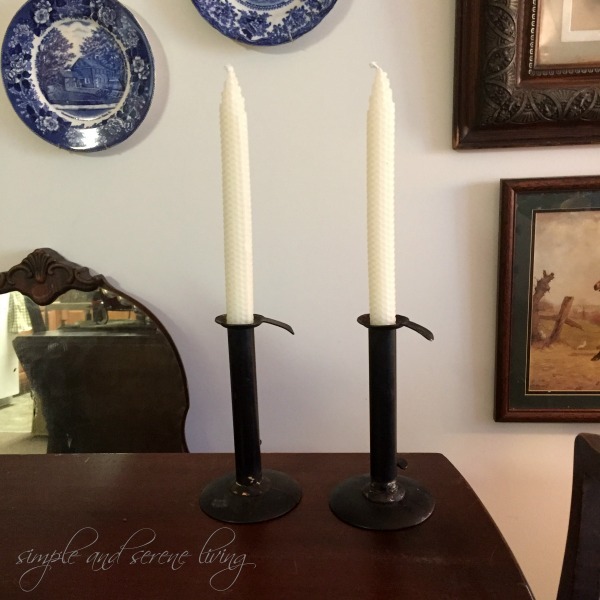 Love your new candlesticks. The table runner is exquisite! And, worth many, many times what you paid for it. I would probably display it on the wall. What an awesome find. Sounds like you have some really good auctions in your area. Happy Autumn! maybe talk to your template designer? some update has broken a widget?? I wonder what furniture you bought, those pieces look big. We have silver serviette rings, that my mother's friend acquired for us when she went to acutions. And my sister has a wooden butter churn from when she lived in the country. Hi Laura, my blogroll is still missing. I just got back from a long blog break and this happened, so I'm behind on catching up with everyone. I hope it will come back soon, I'm lost without it. Enjoyed seeing your finds, I love going to sales. Not on Blogger but have read this has happened to others. I would love to go to old barn estate sales. Can't wait to see your items as you buy them, fun. I have heard a few other bloggers with the same complaints recently (losing their blog roll)... hope it comes back by itself! Your table runner is so pretty.. just love it and love that old style.... I've been to Christmas barn craft sales which I just adore.. everything is so country and homey in those big old barns. Haven't found any around here where I now live though. Darn. I've only been to horse auctions.. but they are fun too! Oh- sorry you lost your blog list- how miserable. I don't think this happens on Blogger but I think it happens in some other programs.